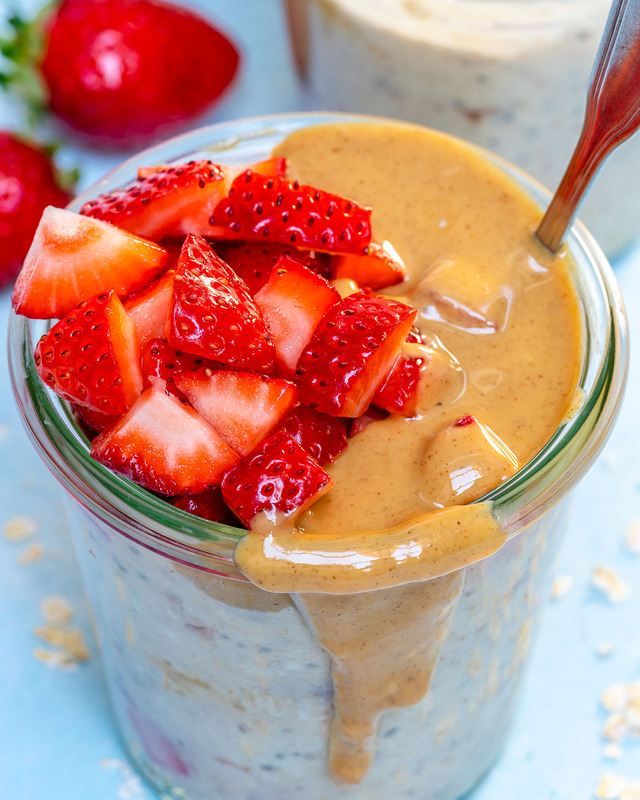 PB & J Overnight Oats are Super Yummy and Great for Eating Clean! So have you tried em’ yet?!! 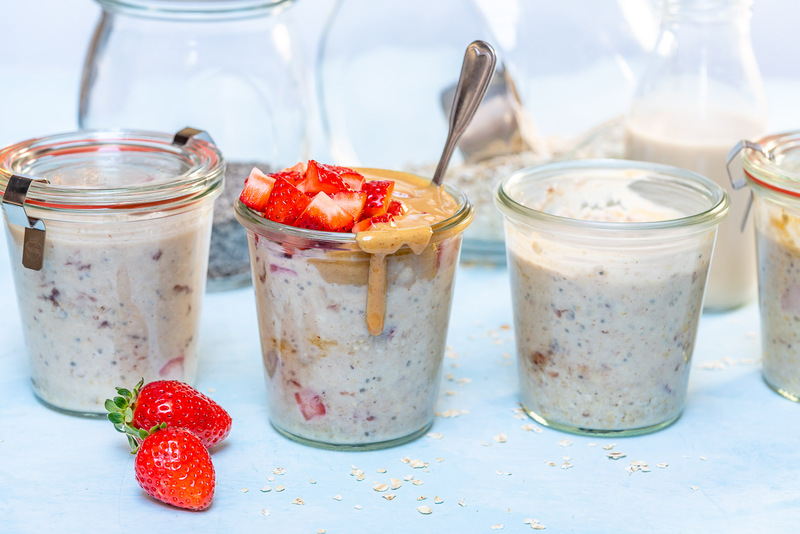 Not only do overnight oats save you time in the morning, but they’re also much easier to digest than unsoaked oats. As the oats soak overnight, their digestibility greatly improves. 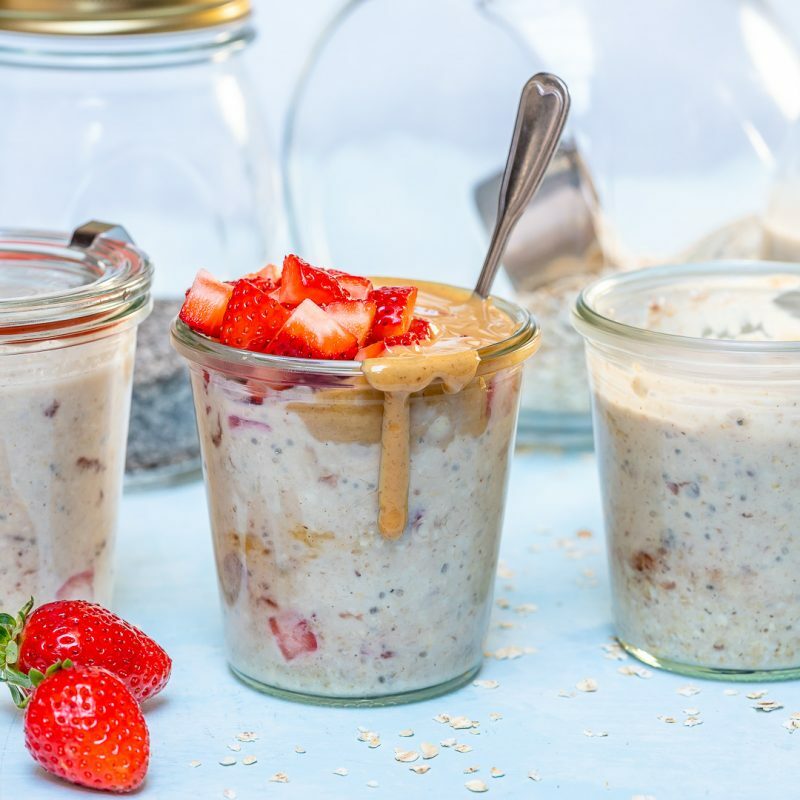 As overnight oats soak, the starches break down which improves digestibility and the natural phytic acid which all plants contain, is greatly reduced making them easier for your body to absorb. 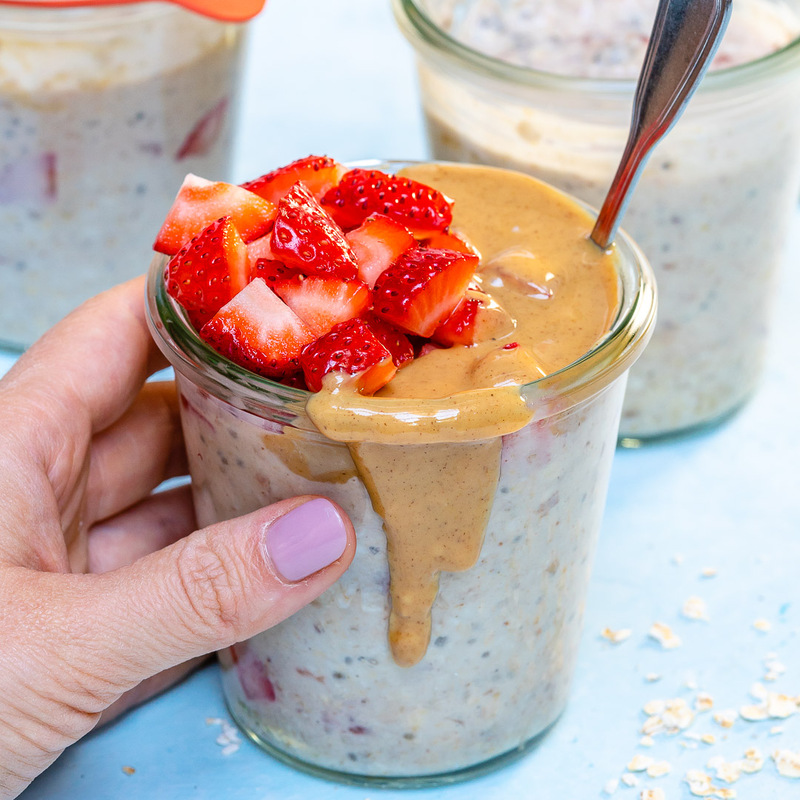 In a mason jar or a glass container, add the oats, chia seeds, milk, yogurt, jam, peanut butter, honey (if using), vanilla extract, and strawberries, and stir to combine well. Seal and refrigerate overnight for up to five days. 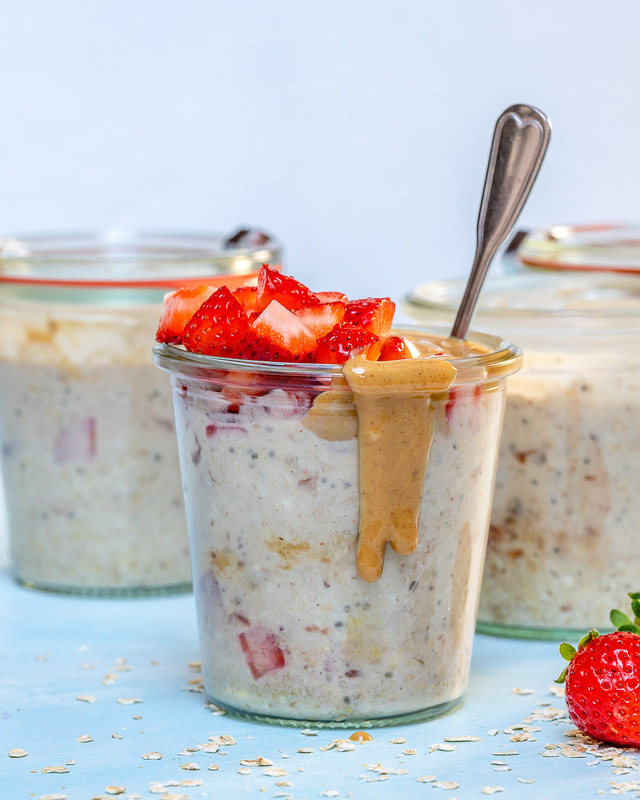 Rachel In a mason jar or a glass container, add the oats, chia seeds, milk, yogurt, jam, peanut butter, honey (if using), vanilla extract, and strawberries, and stir to combine well. 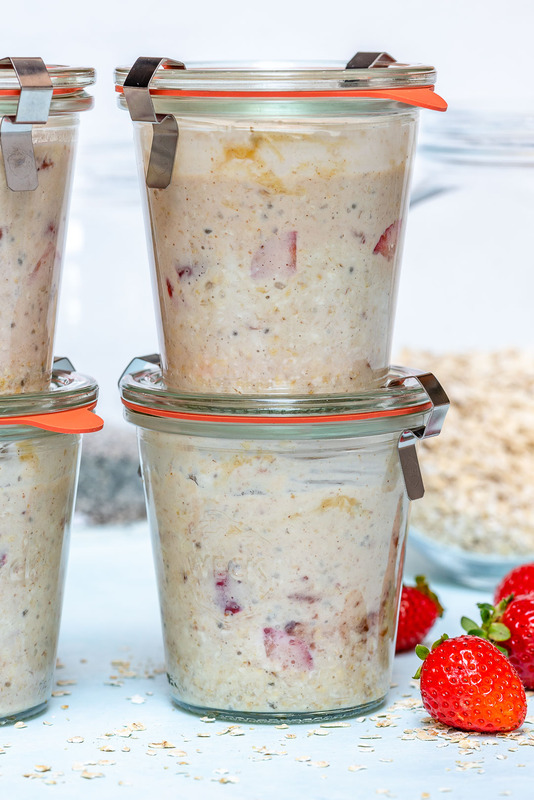 Seal and refrigerate overnight for up to five days. 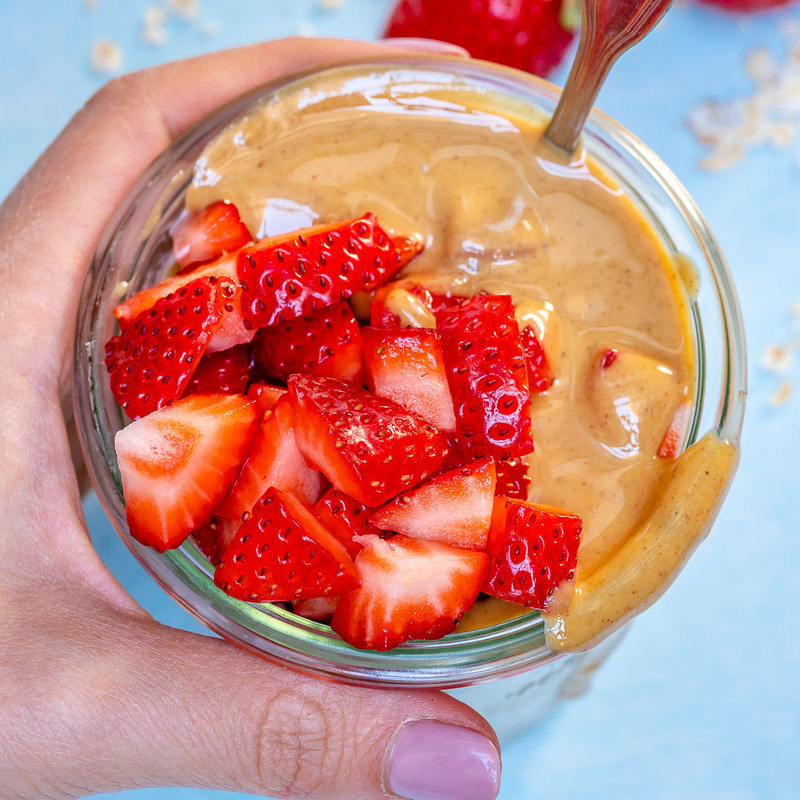 Before serving, top with your fresh strawberries, give it all a big stir, and enjoy! 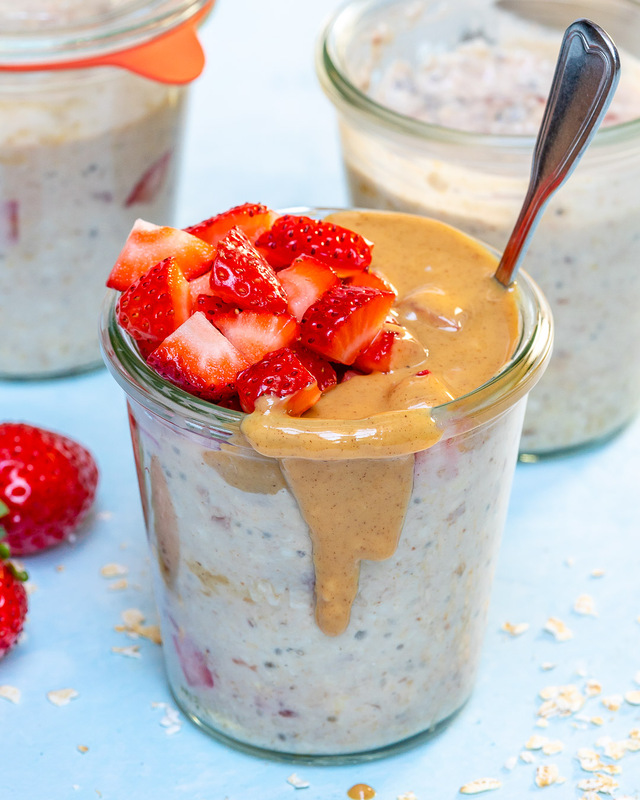 And YES they are eaten cold, just like pudding…just try it!) Need jars? 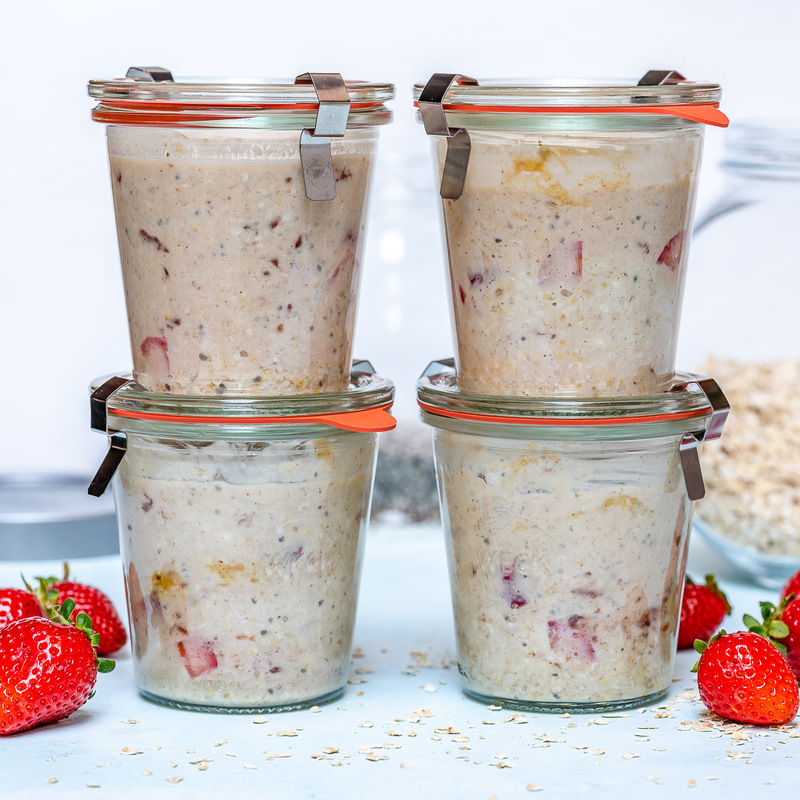 Try these Weck Jars on Amazon!